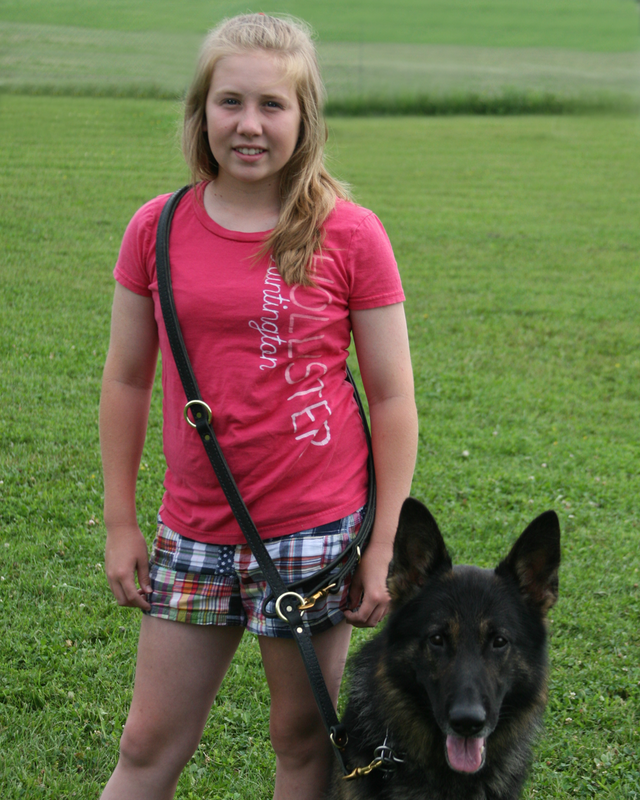 This style of Ultimate Working Dog Lead is often used in police, Schutzhund, and service dog work. 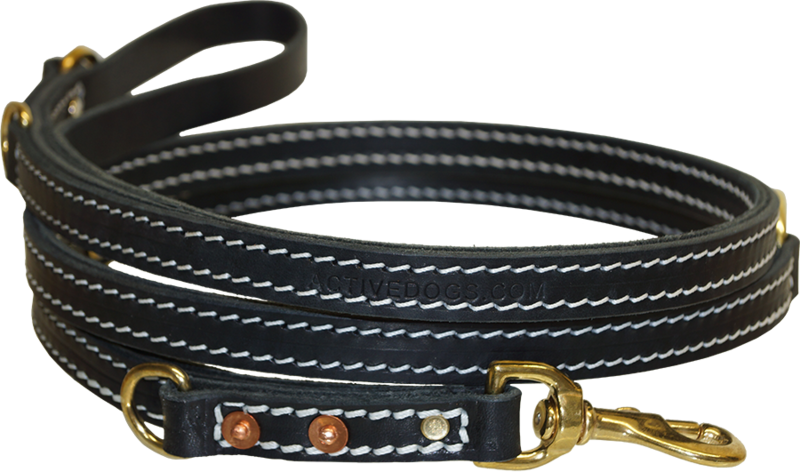 We make our lead with two layers of 3/4" quality latigo leather that is stitched and riveted together. 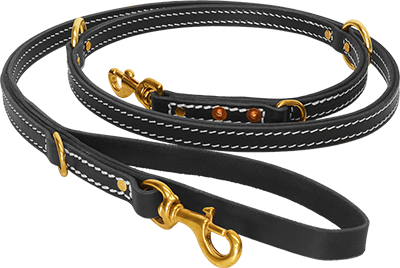 Brass hardware is used on the lead. This is a very versatile lead. It can be used over your shoulder for hands free dog training/working. 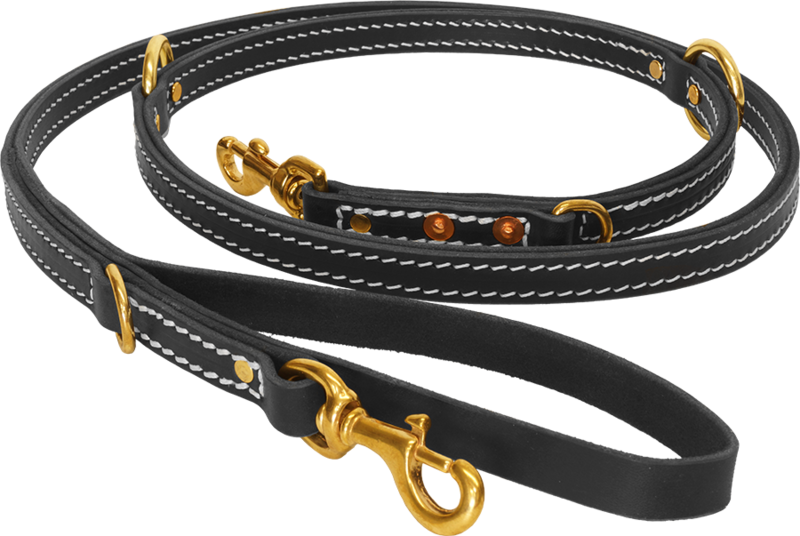 When the lead is over your shoulder, the built-in, looped handle (on one end) is near the dog and can be easily grasped. 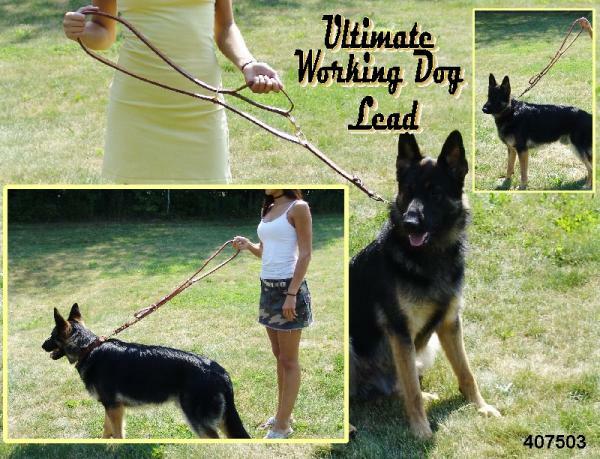 This lead can be used as a 6’ leash with handle; or if you want a shorter leash, it can be looped back through itself. You can also have it snap back to itself and use it as a temporary tie out. The bolt snaps (one at each end) can be attached to a wheel chair or walker. Since it has a bolt snap at each end, you can also use it to walk two dogs at the same time.